Last Saturday (26 Aug 06) I went to Fitness First Ortigas to workout. Afterwards I went to SM Megamall to purchase CDs. 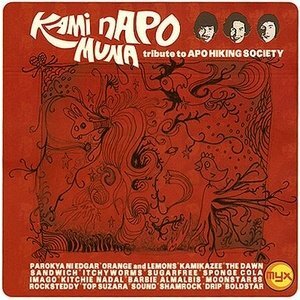 It's Nina's self titled album and Kami nAPO Muna, an album tribute to the Apo Hiking Society. The first time I listened to this album was when I rendered overtime work last Sunday (27 Aug 06), imagine working even Sunday? And take note, it was a 12 hour overtime. Whew! 1. 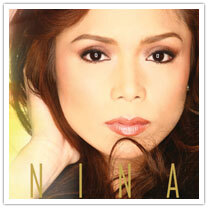 Nina's new album is something that you would like to hear everyday, soft voice and nice music. Her current single 'I Do' seems to be different from the type of music she did from her previous album, Nina Live. It is something groovy and a mix of RnB sound. But still, it was a beautiful song. It has only 10 tracks and a bonus track 'Araw Mo', a happy birthday song. I'm planning to play that song on my youngest sister's birthday on the 19th of September, hehehe... Anyway, the album also has the lyrics so you can song along with Nina while playing the album. The type of sound in this album mostly a ballad and a lot of love songs. My favorites include 'I Didn't Mean to Make You Mine' and 'Whare Is Love'. The album also features all original song, something really different from her previous one. I can say that all songs are good! 2. Kami nAPO Muna is a very enjoyable album. I love to listen to this songs. Most of the songs are known to me so I don't need a lyrics just to sing along with the bands featured on this album (actually the album package really don't have lyrics). I love the new version of 'Panalangin' by Moonstar 88, 'Yakap Sa Dilim' by Orange and Lemons and 'Doo Bidoo' by Kamikaze. I listen to these songs almost everyday! It is an entertaining album. And I realize that the APO really contributed a BIG thing in the music industry, all those songs are meaningful and a part of our daily life. The only song that I hate is 'Blue Jeans' by Rocksteddy maybe because I used to grow up giving importance on education. This album also featured the famous and excellent bands of today. I recommend this album to you guys!